Anime and manga fans have been noticing an increase in movie adaptations of their favorite series. Animated and live-action have been cropping up, which means that the manga creators are swimming in piles of money, right? 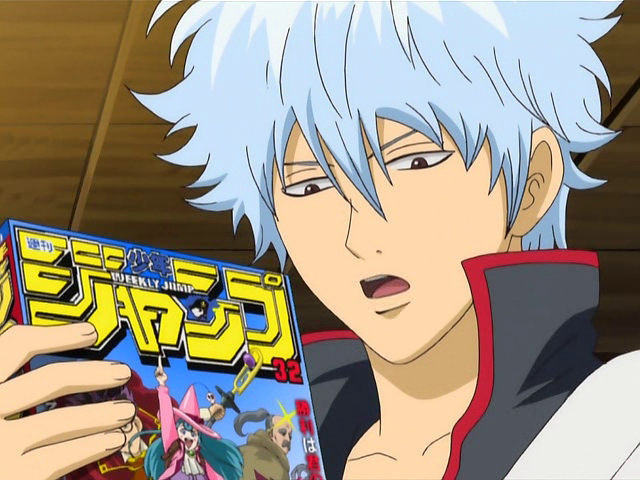 Hideaki Sorachi, creator of Gintama, revealed the sad truth as part of a Q&A section of the 51st volume of Gintama. “To the tell the naked truth, regardless of how many people watch the film or how much the gross earnings are, not a single yen goes to the author. We are only paid an upfront licensing fee. The amount we are paid is peanuts in comparison to box office gross. The majority of the profits go to filthy unscrupulous companies such as Shueisha and Sunrise. Releasing individual manga volumes is way more profitable. But the reason I slog to fulfill these film adaptations, to the extent that I’m peeing blood, is because there is a place in this world that is more wonderful than a mansion at Roppongi Hills. And that place, ma’am, is in your heart. If Gintama can reach the heart of the masses, I wouldn’t mind living in a hill made of cardboard. The authors are the only ones who harbor such honest intentions with their creations. The volume was released in 2013, but has been gaining attention in Japan due to the boom in movie adaptations. Unless there has been a big change in licensing agreements, this will still be true today. While movies serve as a money making platform for the publisher and studio, it serves as marketing for the author. The only real way to put your favorite manga author in a mansion is to purchase manga volumes.